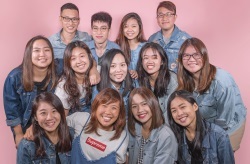 You might want to jio a group of friends for this as GrabFood is back with another round of exclusive promotions with McDonald’s for McDelivery Day. 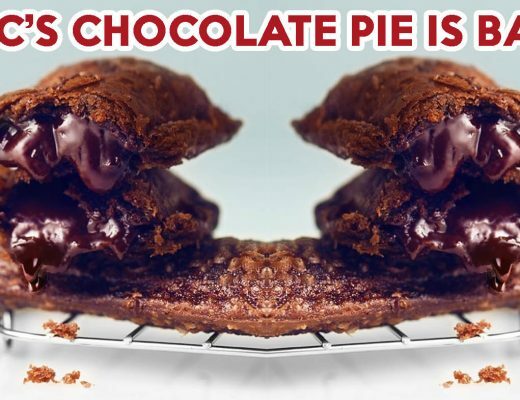 Available from 8 to 11 April 2019, this four-day event will be great for those looking to share a box of McDonald’s popular items in the comforts of their own home or office. The Happy Sharing Box A will be going for $9.90 (U.P. 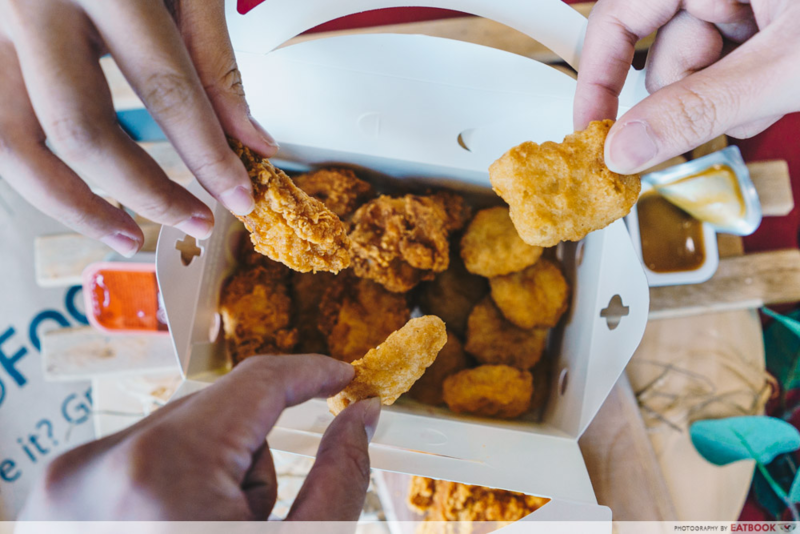 $13.95) on GrabFood and comes with 12 pieces of Chicken McNuggets and eight pieces of McWings. 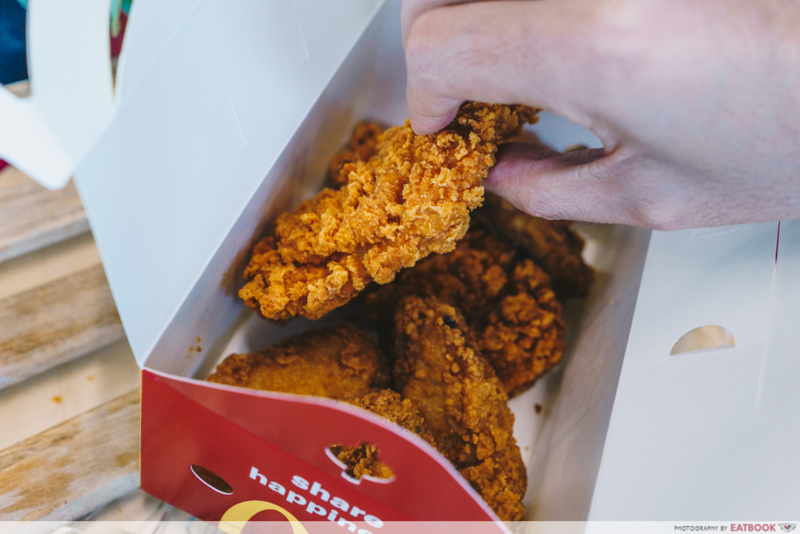 Perfect for sharing, this box of deep-fried goodness ought to bring loads of cheer to any party. 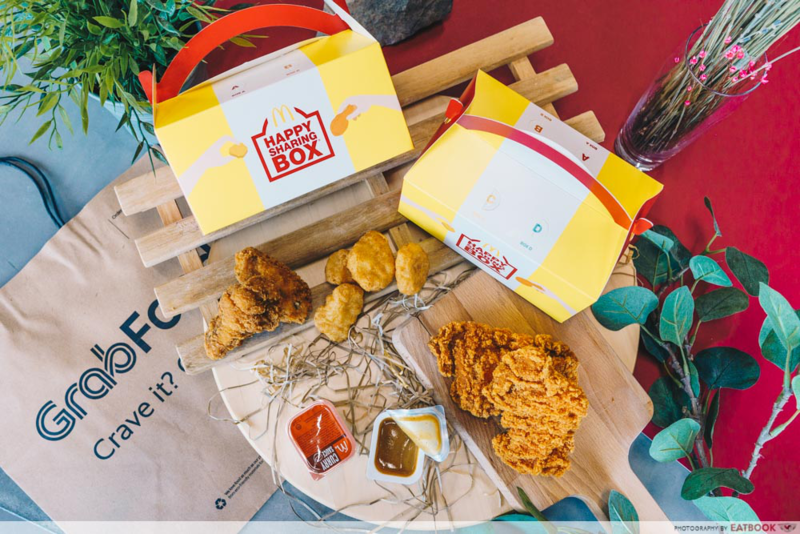 For a smaller group, make sure to check out Happy Sharing Box C. Featuring two pieces of the special edition Crispy Chicken and four pieces of McWings, the box is priced at $6.90 (U.P. $9.70). Released earlier this year, the limited edition Crispy Fried Chicken comes as a whole piece of juicy thigh meat with a light spicy kick. With such great savings, it’s hard to pass up on these stellar deals. 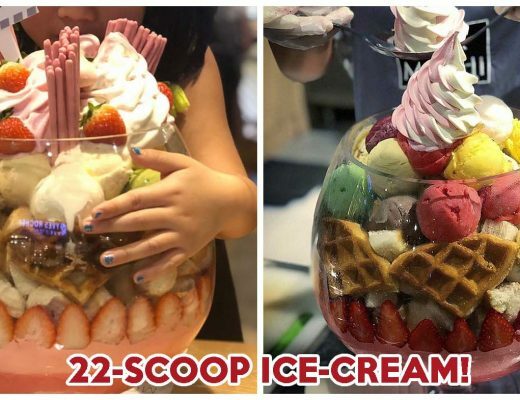 The best part is how GrabFood delivers everything piping hot to our doorsteps, sparing us the hassle of walking under the sweltering sun. 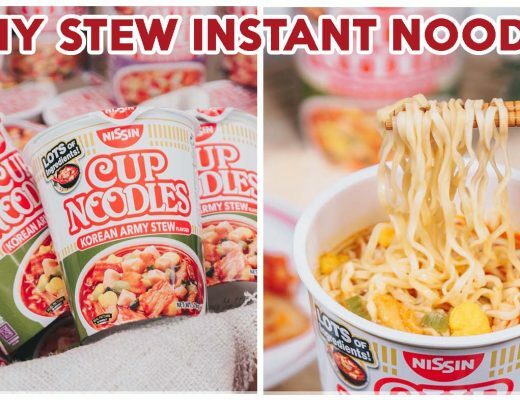 There are also islandwide delivery and a no-minimum-order policy, making it much easier to get your favourite food delivered straight to you. 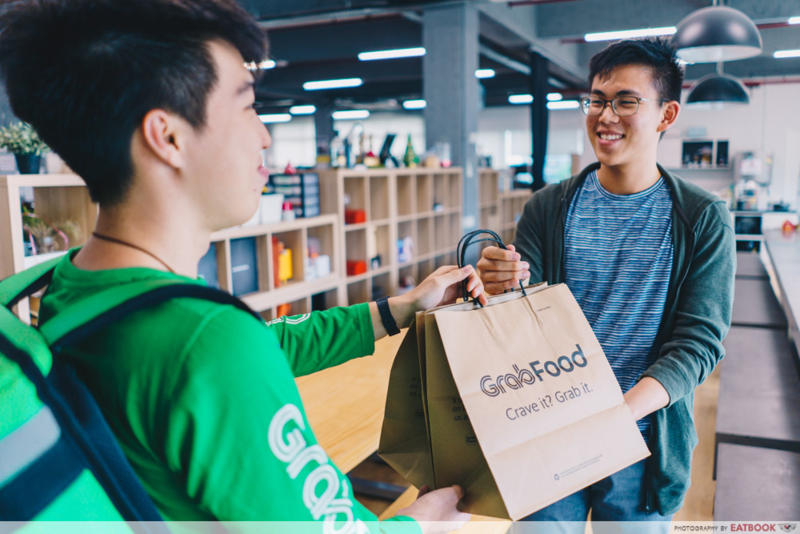 If you find yourself constantly getting McDonald’s delivered to you, check out GrabFood’s McDonald’s Free Delivery Subscription Plan. At $1.99 per month, this package waives off the delivery fee on an unlimited amount of McDonald’s orders. Look out for the McDonald’s Delivery Day category on the GrabFood app from 8 to 11 April to enjoy these promotions!